Traumatic brain injuries and spinal injuries often cause harm to the victims and their families that never fully heals. Though there are many potential causes of brain and spinal injuries, they are often the result of carelessness by others. If you or a member of your family suffered a traumatic brain injury or spinal injury, contact the Boston, Massachusetts brain and spinal injury attorneys Burns & Jain. We have the resources, compassion, knowledge, and skill that you need to get the full monetary compensation that you deserve. 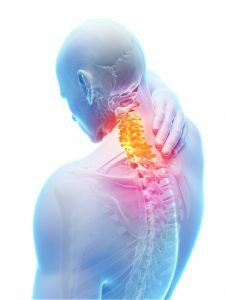 Whether the result of a motor vehicle collision, motorcycle crash, a construction accident, a fall on badly-maintained grounds, a slip and fall accident or other cause, brain and spinal injuries are complex neurological injuries with negative impacts in all aspects of the victim’s life. Victims of traumatic brain injury (TBI) or spinal cord injury (SCI) accidents may become completely disabled, lose the ability to work, require a lifetime of nursing care, suffer emotional disruptions, or live with permanent brain damage or paralysis. The pain and suffering can be unfathomable, and medical expenses can be overwhelming. A traumatic brain injury is characterized as an external force causing injury to the brain. They range from minor to severe. Traumatic brain injury victims often suffer from headaches, blurry vision or dizziness, coordination problems, memory loss, unusual fatigue, concentration issues, nausea and concussion symptoms. Generally traumatic brain injuries are caused by the following: falls, motor vehicle collisions and objects striding the head, injuring the brain. Falls that are the result of someone else’s negligence are often compensable. You should seek a lawyer to determine if you have a case. Motor vehicle accidents which are caused by another, are compensable and proper legal representation is highly recommended to deal with the professionals at the insurance companies who often disregard what they cannot see. Will My Traumatic Brain Injury Case Go to Court? Most cases in Massachusetts do not go to trial. If you have a competent attorney and a valid case, your case will be presented to the insurance company and to the insurance defense trial lawyer in the best light. They will understand the seriousness all along. However, insurance companies often will not pay the full amount a victim is entitled to without a lawsuit. Also, many brain injury cases take time to develop, with injuries changing and manifesting in different ways. In those instances, we may need to file suit because of the statute of limitations. A lawsuit is not something to worry about. Your attorney will give you an overview prior to filing a lawsuit and be there with you every step of the way. Your attorney will secure documents from you, such as lost earnings documents and medical records. Your attorney will help you answer the written interrogatories. Your attorney will, or should, take sufficient time to prepare you for a deposition. After that, the insurance company will have everything a jury would have to evaluate your case. Most brain injury cases settle by this stage and don’t go to trial. If you or a member of your family suffered a traumatic brain injury or spinal injury, contact the Boston, Massachusetts brain and spinal injury attorneys the Law Office of Neil Burns. We have the training and experience that you need to get the full monetary compensation that you deserve. Brain injuries and spinal injuries are always serious. If your injury was caused by someone else, you should not try to handle your legal claims on your own. Your claim, and possible lawsuit, will involve very complicated legal, medical, and financial issues. If you or someone in your family is a brain or spinal injured accident victim, you need a good lawyer. A lawyer who understand the many effects of TBI and SCI — physical, emotional, and financial. A lawyer who will treat you with respect and act with true compassion and concern. A lawyer who will aggressively pursue the responsible parties and their insurance companies and make them pay for their devastating carelessness. Lawyers like the Boston attorneys at Burn & Jain. We have an outstanding track record of helping brain and spinal injury accident victims obtain full and fair compensation. Your initial consultation is free of charge, and you won’t pay any attorney fees until after you win monetary compensation for your brain injury. So call us at 617-227-7423 or contact us online. We may be able to help you too.